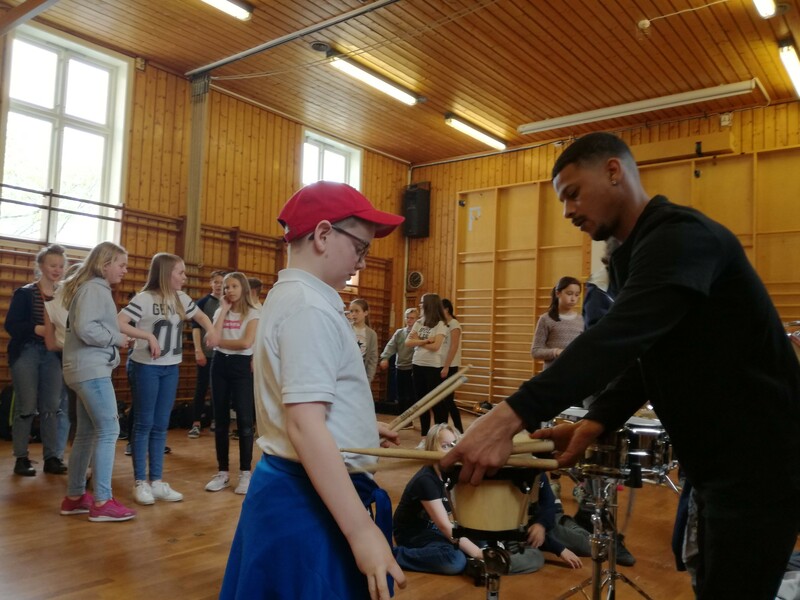 Pulse is a music and health project that aims to extend and share knowledge about how musical activities can be a tool for health promotion and social inclusion. 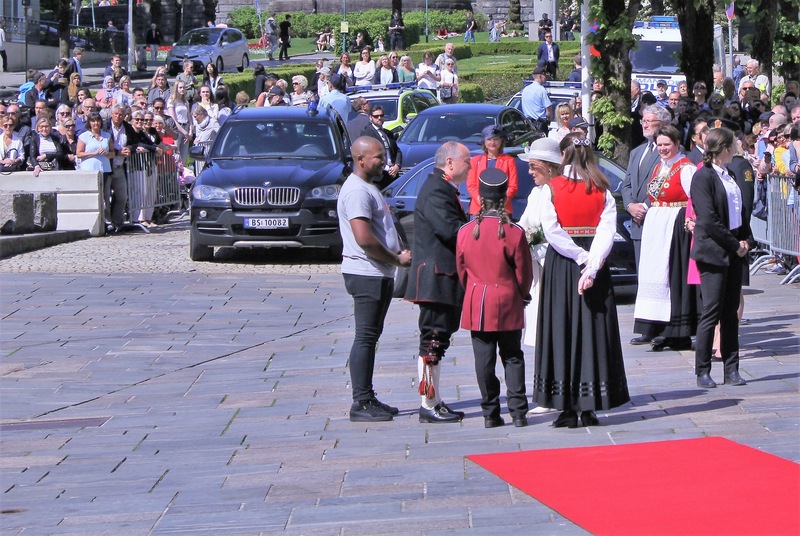 On 23 May 2018, PULSE was fortunate enough to take part with “Kongekorps” in the opening of Festspillene in Bergen. It is a tradition that The King and The Queen are a part of this celebration. Unfortunately this year The King could not attend, because he was on sick leave. Festspillene is the Bergen International Festival, it was established in 1953 and is the largest of its kind in the Nordic countries. It is the longest standing and the foremost music and theatre festival in Norway. PULSE took part in preparations for this day two weeks before the actual performance. We had a weekend seminar with “Kongekorps” and we taught them with South African music, we taught them the music by ear and did not give them music scores. The PULSE team collaborated with finding musical compositions that could be suitable for “Kongekorps”. Togetherness was a key conception behind the successful preparations and the performance. This was an exhilarating and memorable experience and a lifetime opportunity for the PULSE team. Not everyone gets a chance to perform for the Norwegian Royal family. Masibulele Langa was additionally fortunate to shake hands and have a talk with the Queen. PULSE believes that these kinds of music performances will encourage Norwegian youth to join Skolekorps. The members of “Kongekorps” were very excited and blissful to take part in this day. The Navy band in Bergen joined them, and this was one of the highlights and it increased the calibre of confidence in the “Kongekorps” members and the PULSE team as a whole. The South African repertoire consisted of the songs Makarita, Stamp, Drum Dance and Ziyawa. These songs were chosen because they all have a strong melody that stick easily in a person’s memory.